The Meridian 46ft is designed with two queen staterooms that will sleep four people. For cruises and events, the Meridian can accommodate up to 12 passengers. The yacht has two bathrooms, one with a stand up shower with glass surround enclosure. The contemporary and light filled salon features living room style seating for all aboard and TV, DVD/CD player with a hookup for your smart phones and devices. The galley includes a dining table and is fully equipped with a half sized refrigerator/freezer, ice maker, 2 sinks with spray faucet, coffee maker, 2 burner electric stove and microwave. 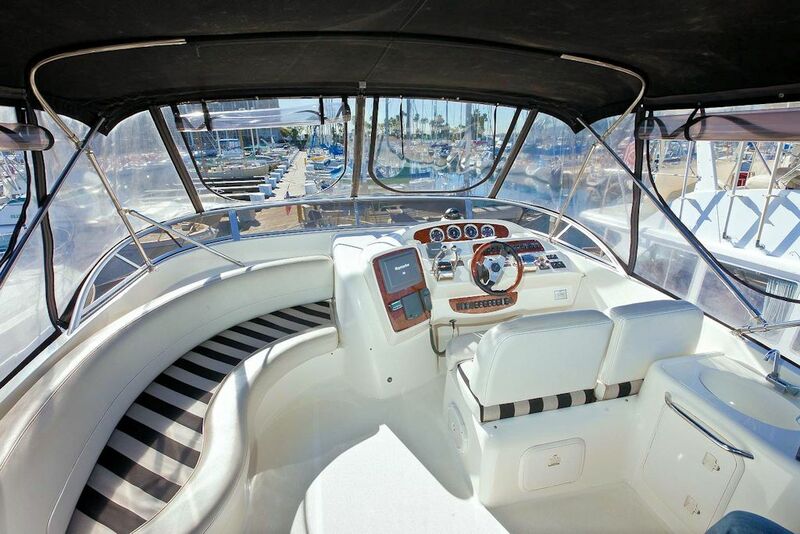 All our yachts are equipped with air conditioning and heat. 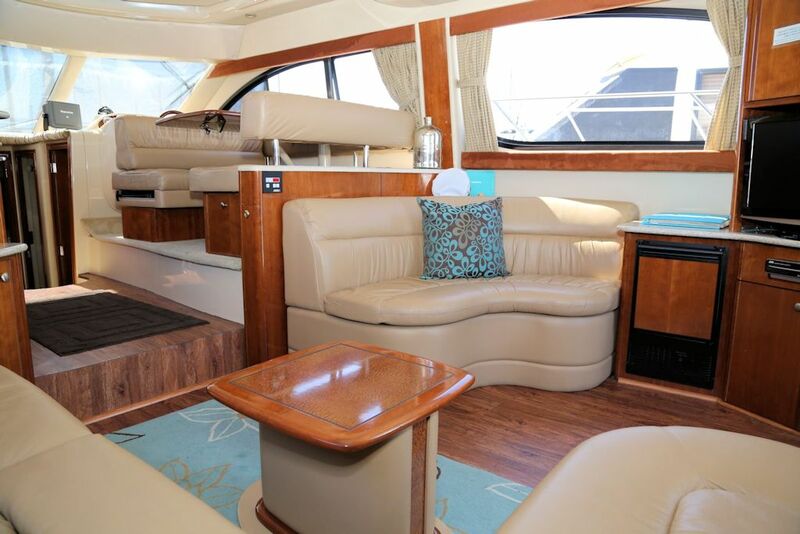 There is a cockpit on the back with chairs and a small table for relaxing and looking out on the water, and bow cushions up front perfect for sunbathing or watching the sunset over the marina. Our marina has it’s own private swimming pool, or feel free to use many of the 5 star facilities of the near by Sheraton Hotel including 2 pools, hot tub and a fitness center. There are also paddle boards and jet skis available to rent close by. So now is the time to book that special vacation, honeymoon, anniversary wedding or just an intimate getaway. 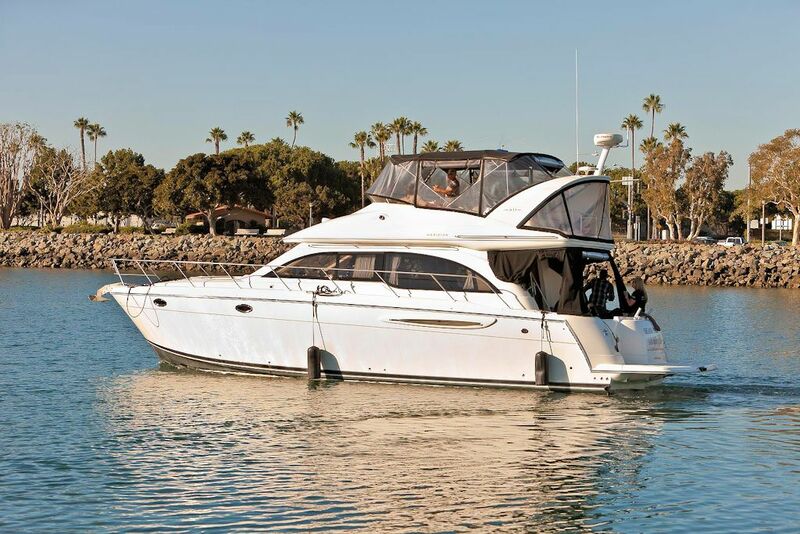 For about the same price as a hotel room, you can stay aboard the Meridian 46ft and really enjoy San Diego as it should be, on the water. 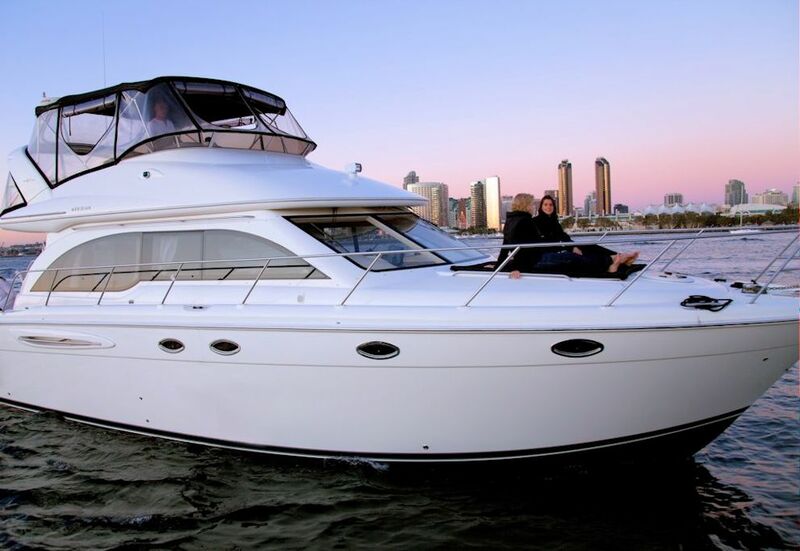 We offer lots of optional services from private cruises on San Diego Bay. Ready for an adventure at sea?